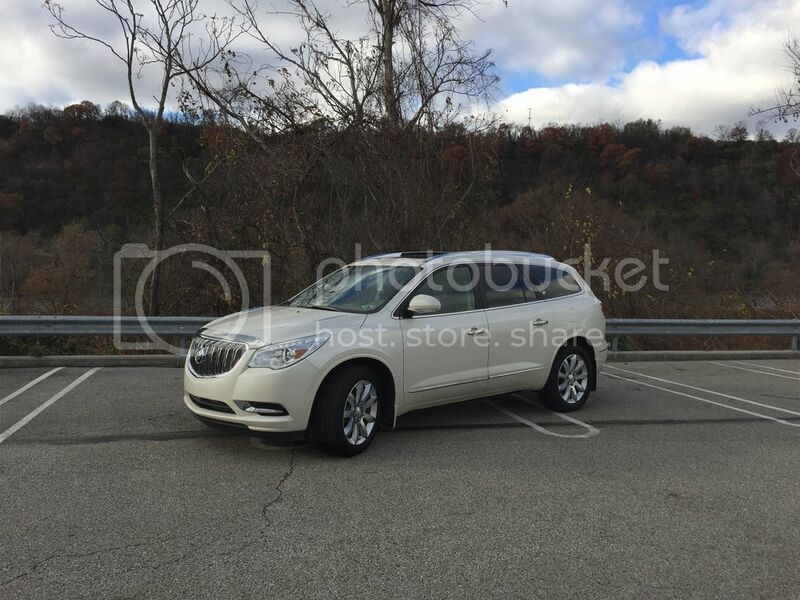 EnclaveForum.net: Buick Enclave Online Community > General Discussions > Picture Share > MY CUSTOM ENCLAVE - MORE PICS! 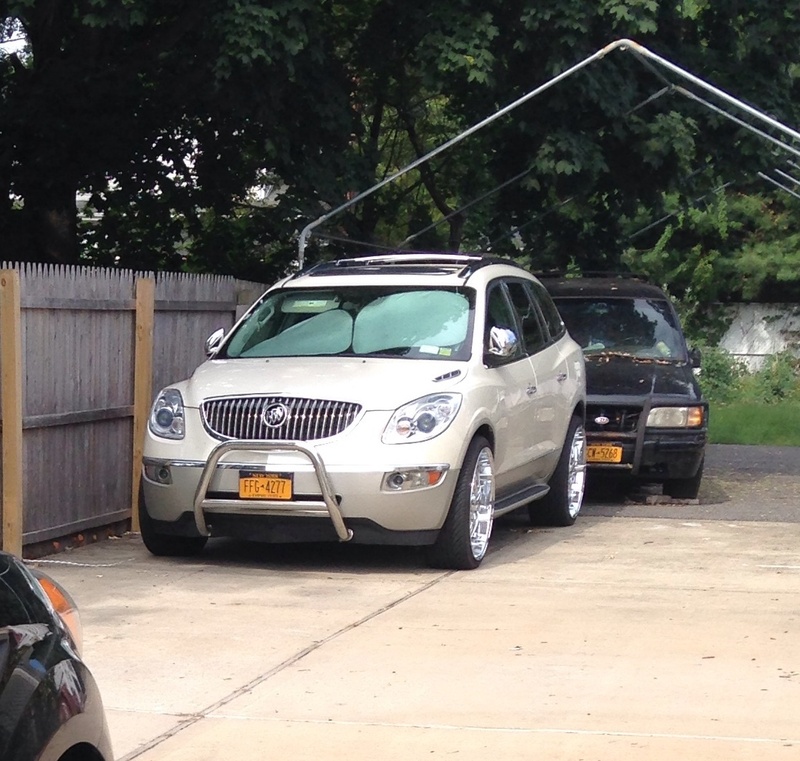 Re: MY CUSTOM ENCLAVE - MORE PICS! Very nice! What's with the beat up Kia behind it? Is that your next project? Those wheels are stunning. I would be afraid of driving around my area's rough roads. Not tires I could deal with on a daily basis, but they loom great. There will be mixed opinions on the front push bar, but hey....adds chrome up front, and for sure a unique look. Looks good except for the bumper sticker you can barely see in the last photo. Please tell me that is from a previous owner and you are going to remove it. I could never understand why people put stickers on their paint (the window glass is okay). On a related note -- my 16 year old nephew just bought his first car, a nice G6 convertible. 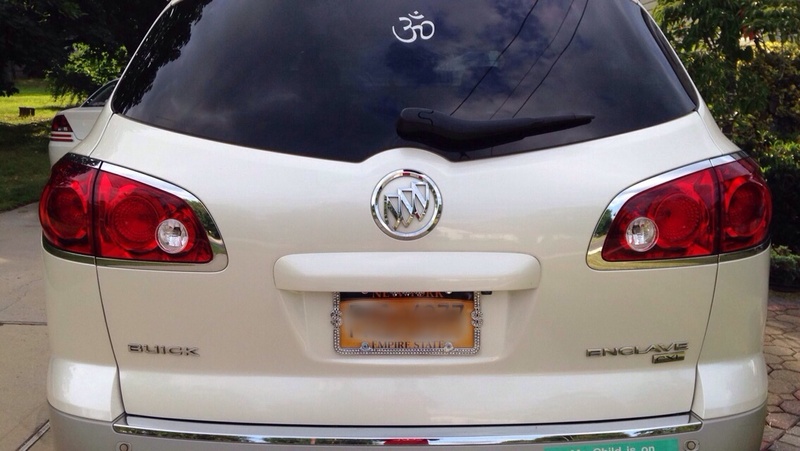 The previous owner had a bumper sticker that said "I'm A B*#ch, Just Not Yours". The dealership he bought the car from had removed the sticker and buffed the car but you can still see the outlines of the letters (apparently the letters were a different color than the field of the sticker and allowed less UV rays through which caused the paint to fade differently). P.S. -- You blocked out the license plate number on the rear but you forgot about the front one (and the Kia one) in the other photos. Love it DiamondEnclave! This is the first Enclave I've seen with a Bullguard and it looks great! Roll on! cool ride. any updates about your Enclave? 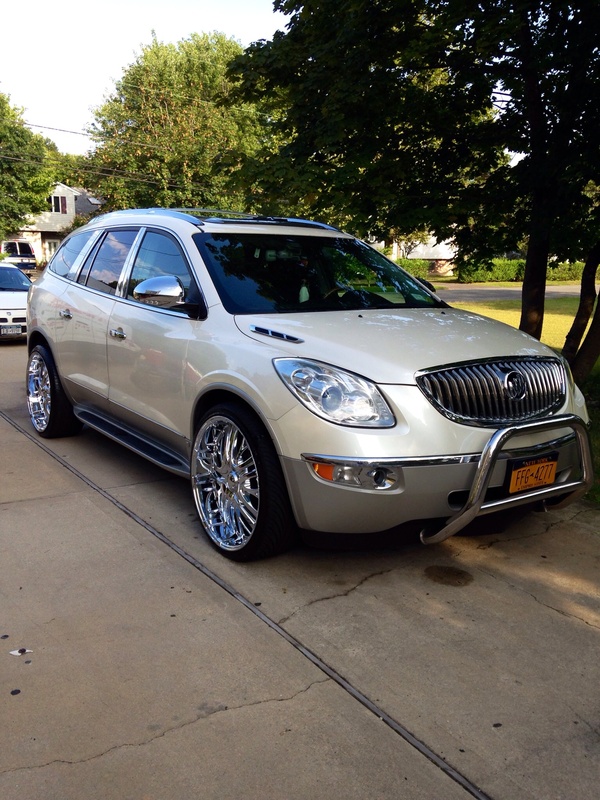 Nice ride Diamond Enclave! 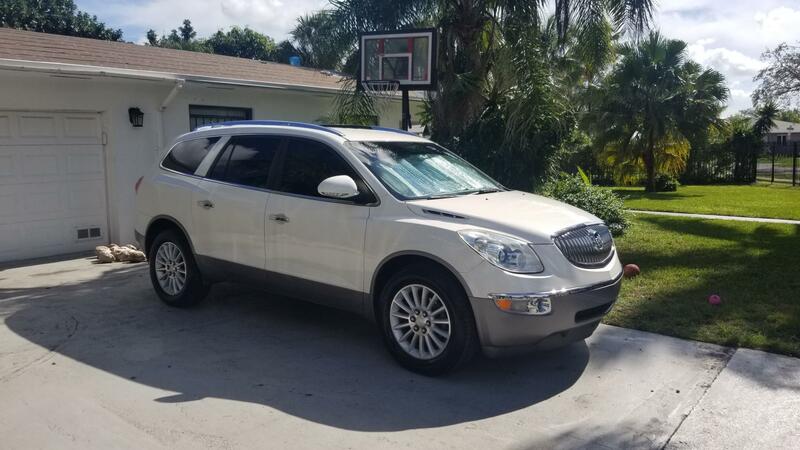 I just brought a low mileage 2010 Enclave CXL a few months ago. I'm really impressed with it. It's a weekend highway cruiser for me. &#x1f642; I've been wanting one ever since GM began making them.